Drawing on a research base developed over many years in education, Carnegie is testing a set of strategies to help students persist and succeed academically. This kind of persistence, what the researchers and faculty who developed the Pathways call “productive persistence,” is a key driver of Quantway® and Statway®. Broadly defined, productive persistence is the package of skills and tenacity that students need to succeed in an academic setting. 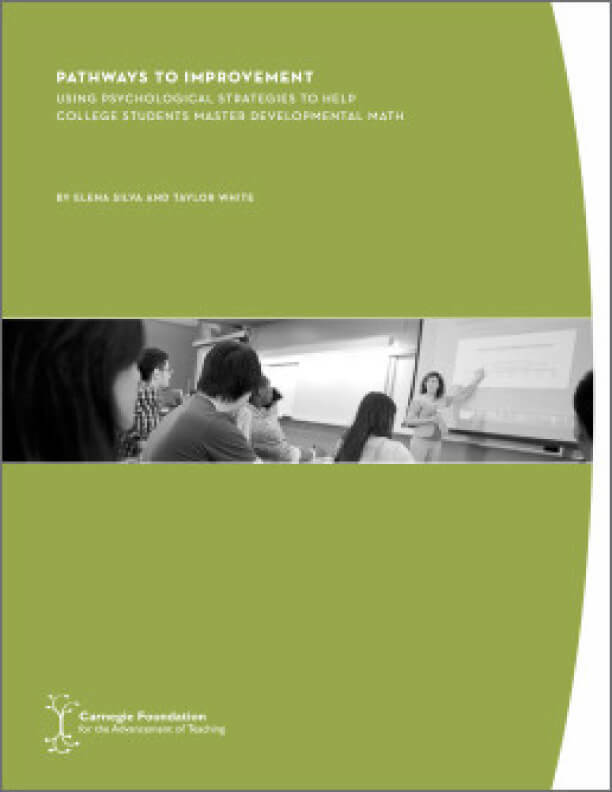 These interventions and others, as well as the story of how Carnegie developed this new program of work addressing the alarming failure rates of students in developmental mathematics are covered this report.